Biphasic Makeup Remover - Francy Bio-Culture S.r.l. Biphasic Makeup Remover (100ml - 3.4 fl oz) - Make-up Line. Gentle emulsion that smoothes, cleanses and hydrates the skin of the face. 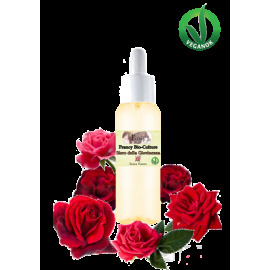 Delicate and natural formula eliminates makeup, soothes and tones the skin. Ideal for both eyes and face and for any skin type. 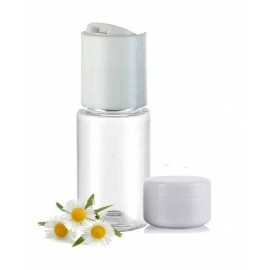 Organic chamomile infusion and organic calendula extract are ideal for soothe and clean sensitive face skin. 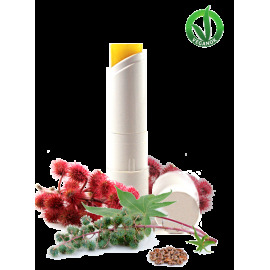 They help to purify and give a brighter and healthier appearance to the skin, calming redness and irritation. They also improve the overall balance of skin cellular hydration. Organic coconut oil, thanks to its unique antifungal and antibacterial properties, moisturizes and cleanses the skin from make-up, sebum and external agents such as smog or impurities. Organic aloe vera is renowned for its beneficial effects for the skin, including the refreshing, moisturizing, soothing, antiseptic and purifying effects. Moreover, in combination with hyaluronic acid and betaine, it performs an anti-aging, healing and deep-hydrating action, making the product suitable also for the most sensitive skin. 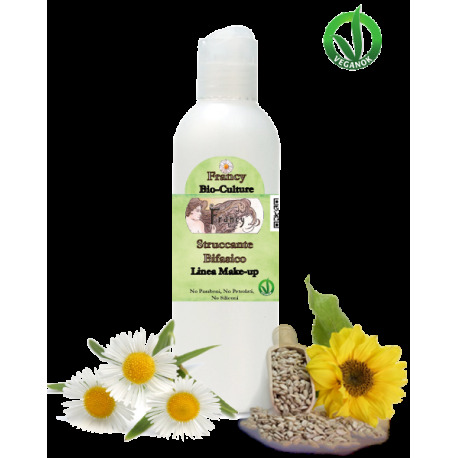 Sunflower organic oil has a further soothing and nutritive effect, while glycerin acts as a toning component of the tissues that restores the brightness of the skin. 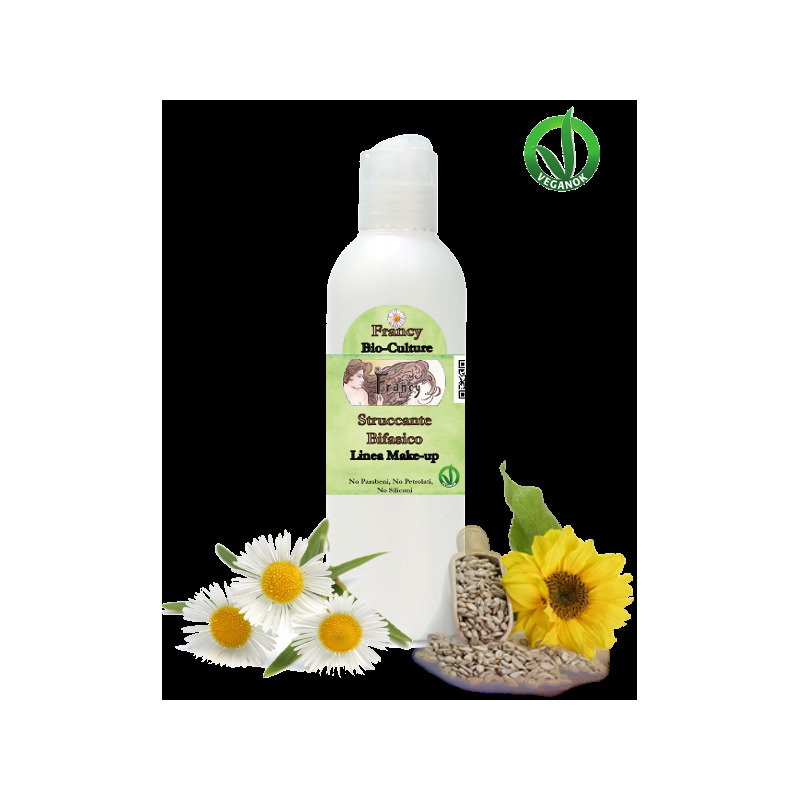 Chamomilla Recutita Flower Water*, Cocos Nucifera Oil*, Coco Glucoside, Aloe Barbadensis Leaf Extract*, Betaine, Sodium Hyaluronate, Glicerol, Helianthus Annuus Seed Oil*, Calendula Officinalis Flower Extract*, Chamomilla Recutita Flower Extract*, Sodium Benzoate, Potassium Sorbate. Mi piace molto rimuove benissimo anche le tracce di trucco waterproof non bio ed è un prodotto naturale!